Welcome to Legacy Carting Corp! 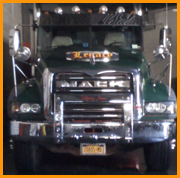 LEGACY CARTING CORP. has been in the rubbish removal business since 1921. We are a large, progressive and expanding company presently servicing accounts in the five boroughs and Westchester County. Our primary business is waste removal service, however we strongly encourage and implement recycling. A good portion of all waste material can be recycled, which helps in preserving our environment. Our corporation is licensed by N.Y.C. Business Integrity Commission and the N.Y.C. Department of Sanitation to haul class 1, 2 and 7-type materials, which include the majority of rubbish that is generated. We use modern, efficient equipment in our service operations. All our trucks and waste containers are clean and well maintained. We are capable of handling all types and sizes of containers, from small rear loading containers to large roll-off dumpsters. With our ample facilities and our strong desire to be of service to you, you can be assured of prompt and dependable service. Should you have any questions or desire further information, please contact us at your convenience. Please contact us for more information. We would be happy to discuss the details of your project with you so that you may decide how we may best assist you.